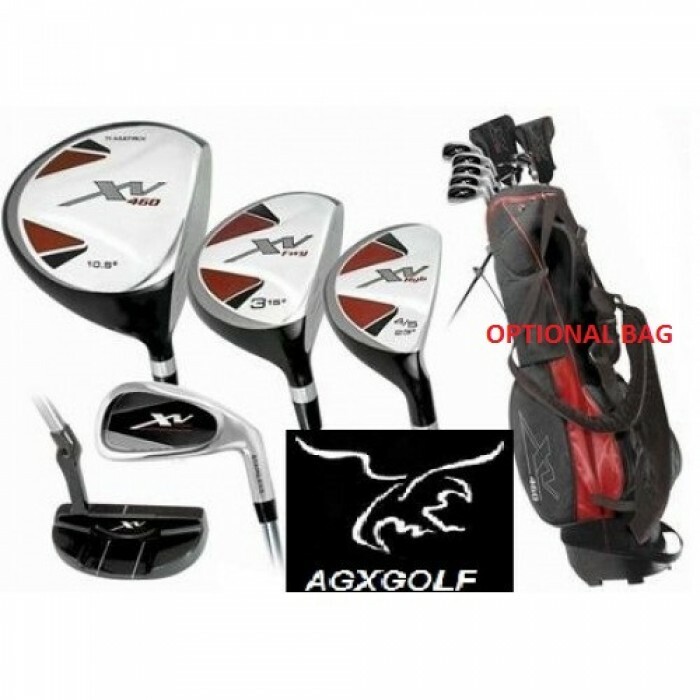 --- Please Select --- BOY'S (TWEEN): For HEIGHTS of 4' 7" to 5' 3" BOY'S: (TEEN): For HEIGHTS of 5' 1" to 5' 7"
New Affinity / Orlimar: xv-460 (advanced velocity) boy's edition golf club set & putter: option to include the XV matching stand bag. - Teen or Tween length!! Sets include one year manufacturers warranty!! The suggested retail price for this set is $199.95... Your price is much better...Feedback on these sets is max! Shipping is only $4.50 to anywhere in the contiguous!!! We ship most orders within 24 hours!! Yes this is a brand new set still in the factory box! This set of golf clubs from Affinity / Orlimar golf is loaded with the latest technology!! Distance off the tee and down the fairway! 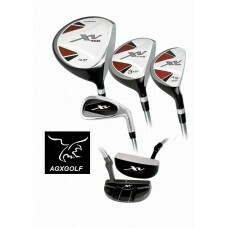 You can expect excellent performance from the "xv- 460" edition driver and large face fairway wood. #4/5 hybrid iron: (23*) combines the power of a wood with the accuracy of an iron. Handsomely designed with superb craftsmanship and the latest technology, your going to rave on the styling of these clubs!! These clubs are easy to learn with, whether it's a first set or for upgrading from a mix and match set to the newest technology in golf equipment. The distance advantage of the graphite shaft driver will pay off big time!!! Yes! This is the set up if you want to max out your game. LARGE Profile 3 WOOD: HITS WELL OFF THE TEE OR DOWN THE FAIRWAY!! #4/5 HYBRID IRON: combines the power of a wood with the accuracy of an iron. PUTTER: These are an excellent design; the Mallet head features a precision face with "Heel-Toe" weighting to help keep the Putter head on line for more accurate Putts. Also important to note is the contoured grip that allows for a relaxed posture. This is important because a relaxed grip and posture means more consistent Putting and lower scores!! FREE HEAD COVERS FOR THE DRIVER & 3 WOOD! 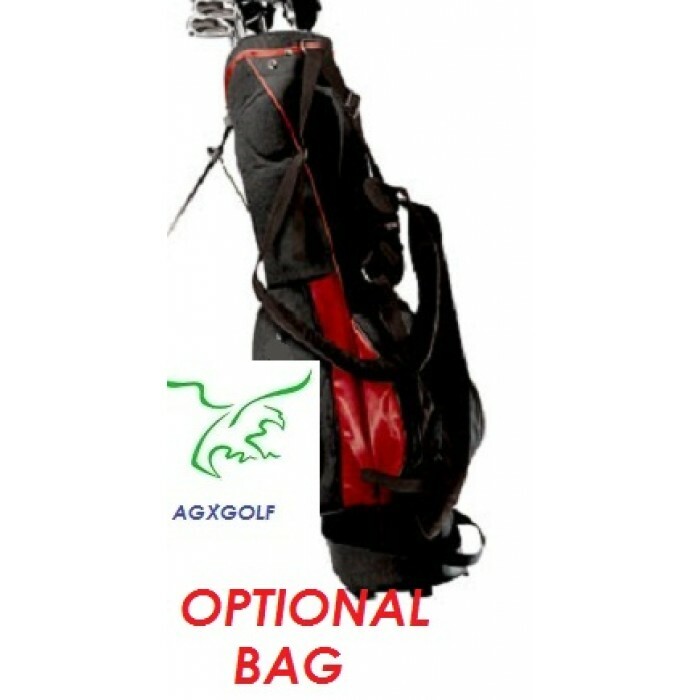 OPTION TO INCLUDE THE XV STAND BAG AT OUR DISCOUNT PRICE OF ONLY $36.95 (and there is NO additional shipping cost to add this bag). This is a terrific value and the best for FIT and QUALITY for the NEW GOLF SET! BOY'S (TEEN): For HEIGHTS of 5' 1" to 5' 7"
AMERICAN GOLF EXCHANGE is headquartered in Highland Michigan! We know you enjoy playing these fine golf clubs as much as we enjoy crafting them! We GUARANTEE that you will be SATISFIED! !